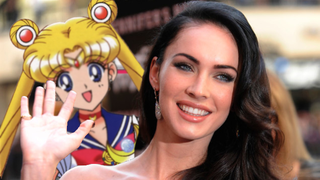 Which Sailor Moon character does Megan Fox seem like a good fit for, you think? Sailor Mars, maybe? Fox kind of looks like her, no? Oh god, what Megan Fox dyed her hair blonde—she could even play Usagi/Serena herself! Woah. That would be weird. "That's not actually a bad idea." As baffling as the idea of a Sailor Moon movie starring Megan Fox is, I'd watch the hell out of it. If nothing else, the photoshops of Megan Fox's face on Sailor Moon characters leading up to the movie would be worth it.